Hey buddy, have an hour a day? 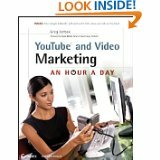 If the idea of starting a social media marketing campaign overwhelms you, the author of Social Media Marketing: An Hour a Day "will introduce you to the basics, demonstrate how to manage details and describe how to track results. 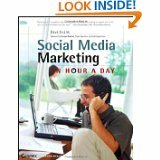 Case studies, checklists, step-by-step guides etc., will help you execute a social media marketing campaign in just one hour a day! 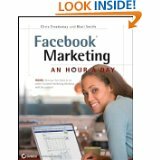 In addition, learn how to integrate social metrics with traditional media measurements and how to leverage blogs, RSS feeds, podcasts, and user-generated content sharing sites like YouTube." 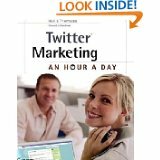 But maybe all those shiny bells and whistles are splintering your efforts. But then again, who has a WHOLE HOUR these days? 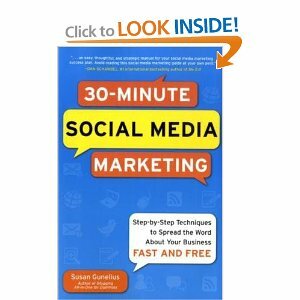 If all you can spare is 30 minutes, then maybe the 30-Minute Social Media Marketing: Step-by-step Techniques to Spread the Word About Your Business is for you. And if 30 minutes is still too much? 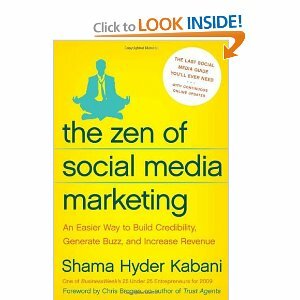 Then maybe draw a bath, pour a cup of tea and read The Zen of Social Media Marketing: An Easier Way by Shama Kabani. Or, just give us a call and we’ll discuss how to put these tools to use for your use case. OMMM.